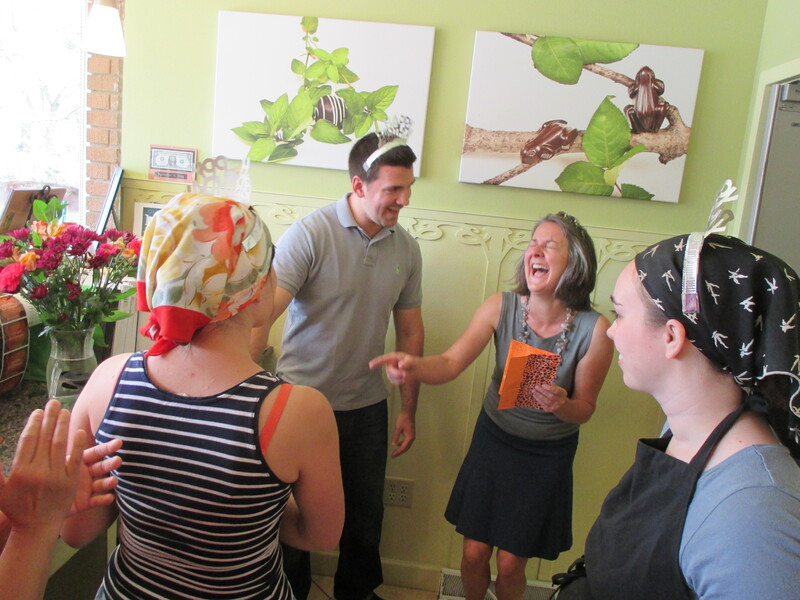 Last Friday we celebrated the birthday of our amazing, fearless, talented, multi-faceted leader Gail Ambrosius. 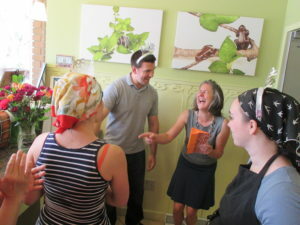 Check out Gail’s reaction (right) to the staff’s gift. His name is Criollo (pronounced kre-ol-yo) and he is a gorgeous betta fish. What does “Criollo” mean, you ask? It is a rare variety of cacao tree that produces high quality thin-shelled pods. After we presented Gail with Criollo, we celebrated with a delicious pot luck/grill out in our parking lot. Isaac grilled trout filets with olive oil, salt and pepper. We also had a quinoa salad with rhubarb dressing, roasted beets and carrots, wild rice, fruit salad with mint, and cake! The highlight of the meal was homemade watermelon juice made by Olivia. It was so summery and delicious we want to share the simple recipe with you. Cut the watermelon into small chunks. Discard the rind. 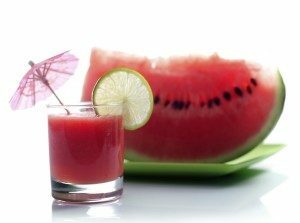 Blend watermelon chunks in blender until pulverized. Strain juice through mesh strainer, discard pulp. Serve over ice. Enjoy!